The world is full of beautiful things but when an artist gives his or her musical touch to the universe, people can feel the magic of even unspoken words because, as they say, an artist works through his heart. Lets take a peep at the most influential artists that our world has been blessed with. Rita Ora is a British singer and actress. After reaching the peak position as a featured act on Do fresh's "hot right now", Ora became the artist with the most number one singles on the UK singles chart in 2012. Rita was nominated in 2013 ceremony for three Brit Awards. Her single "I will never let you down" became her fourth UK number at the top of the charts in 2014. 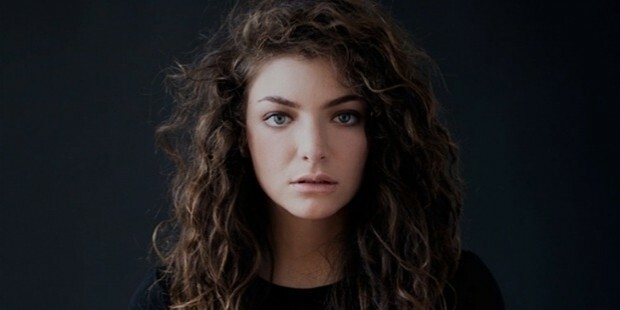 In mid 2013, Lorde released her debut "Single Royal". Her first ever single brought her notable fame in the international music industry and made Lorde the youngest solo artist to achieve a US number. She has won two Grammy Awards in 2013. She was named among Time's most influential teenagers in the world. She was in Forbes "30 under 30" list. 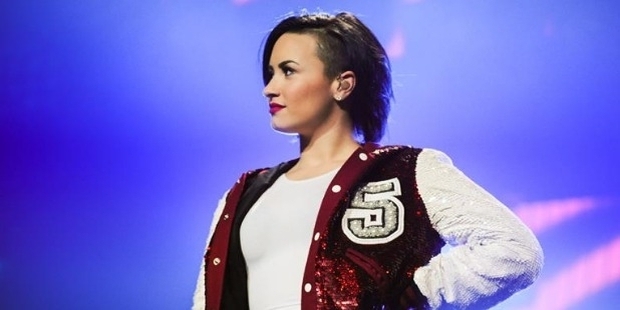 Demi is an American singer, songwriter and an actress. She made her debut as a child actress in Barney and Friends. She released her first music album "Don't Forget". It debuted at no.2 on the US Billboard and has been certified gold by the Recording Industry Association Of America for sales of over 5,30,000 copies. Apart from being famous for her contribution in music and entertainment industry,Lovato has gained alot of appreciation for working on social and environmental causes. Selena is an American singer and actress. She was first featured on the children Series Barney and Friends in the 2000. Gomez entered the film industry with star Billings in features films including Ramona and Beers. Selena has worked with numerous organizations and has most notably worked with UNICEF for several years. Famed actress and singer Miley Cyrus is the daughter of country star Billy Ray Cyrus. She began acting at a young age in the Disney channel hit show Hannah Montana in 2004. She had released many successful albums including 'Breakout' and 'Can't be Tamed'. She is famous for her raunchy stage performances , she has stunned her audience with her bold and daring acts. 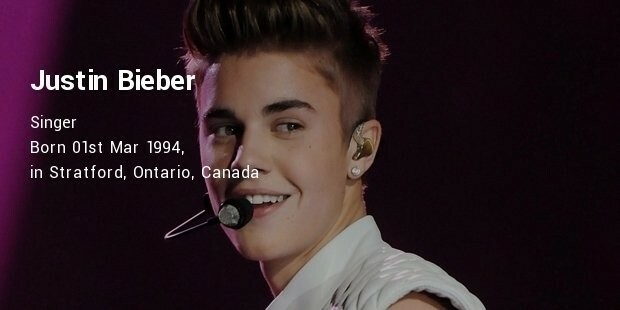 Justin Bieber is a Canadian singer, songwriter and record producer. Bieber released his debut EP 'My world' in late 2009. It was certified platinum in the US. He became the first artist to have seven songs from a debut record chart on the Billboard Hot 100. He has won numerous popular awards, including American Music Award. He has been listed three times by Forbes magazine among the top ten most powerful celebrities in the world. Rihanna is a Barbadian singer and song writer. Her career began upon meeting record producer Evan Rogers in late 2003 through mutual friends. Her recordings were sent to several record labels and later she signed a contract with Dec Jam. She rose to widespread prominence with the release of her third studio album, "Good Girl Gone Bad". The album and it's 2008 "Reloaded" re-released were nominated for nine Grammy Awards, winning Best Rap/ sung collaboration for "Umbrella". Katy Perry is an American singer, songwriter and actress. She pursued a career in gospel music as a teenager. She rose to fame in 2008 with the release of the singles "I kissed a girl" which also created a huge controversy because of its homosexual themes. She became the first artist with multiple videos to reach one billion views on Vivo with the videos for its songs "Roar" and "Dark Horse" each gaining over one billion views. She has sold 11 million albums and 81 million singles worldwide. Lady Gaga is an American singer and actress. She is known for her self empowering messages, fashion and live performances. Gaga worked as a songwriter for Sony/ ATV Music publishing. Her debut album 'The Fame' zXa,,was a critical and commercial success, which produced global chart topping singles. For her work in the television series American Horror story : Hotel, Gaga won a Golden Globe Award in 2016. Her achievements include 12 Guinness world records, six Grammy Awards. She is trending because of her bold sense of fashion and music. Taylor Swift is an American singer. She moved to Nashville Tennessee in her teenage to pursue a career in country music. She signed with the independent label Big Machine Records and became the youngest songwriter ever signed by the Sony/ATV music publishing house. She has won seven Grammy Awards. Swift is known for narrative songs about her personal experiences. She is one of the best selling artists of all time, having sold more than million albums. Your dreams can transform into your reality if you have the courage to follow your heart.